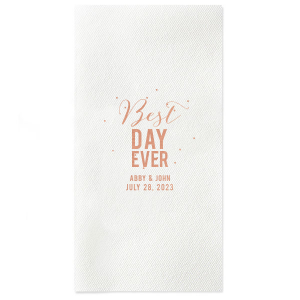 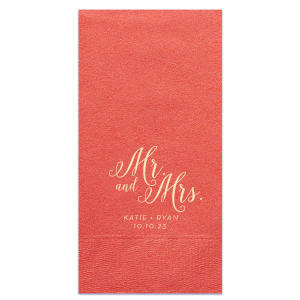 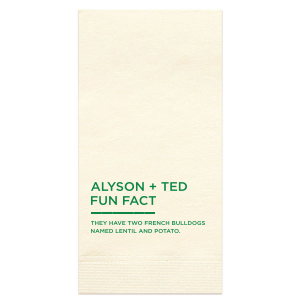 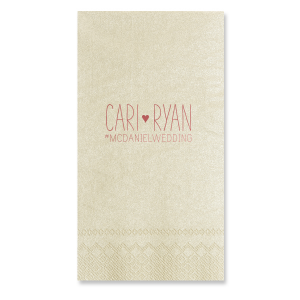 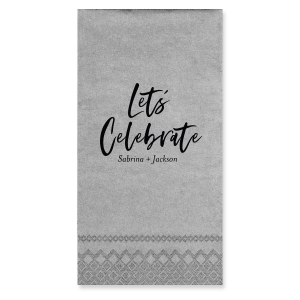 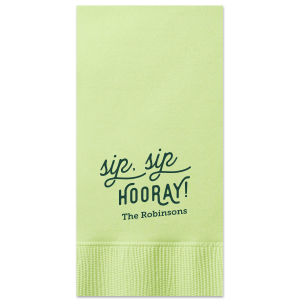 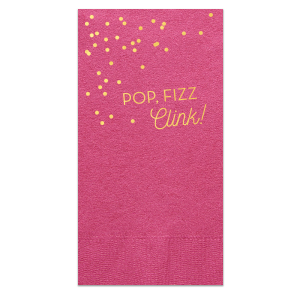 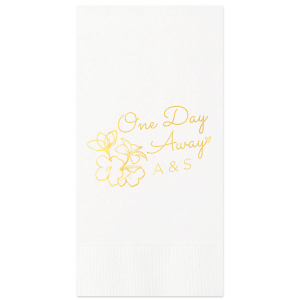 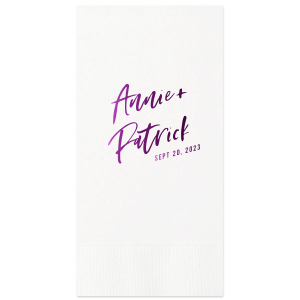 Step up your party hosting and wedding reception style with custom printed guest towel napkins from For Your Party. 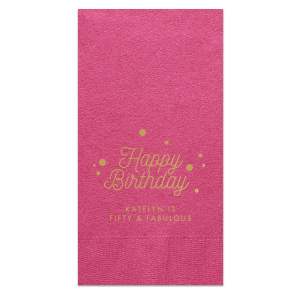 These top-quality bathroom napkins will beautify any public facility. 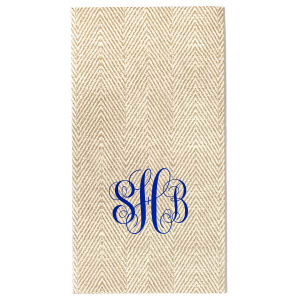 They also make fantastic home decor accents—give as a housewarming gift or personalized holiday gift. 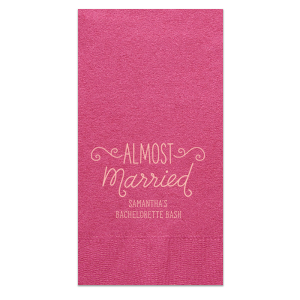 Looking for a unique napkin fold to use as your wedding napkins? 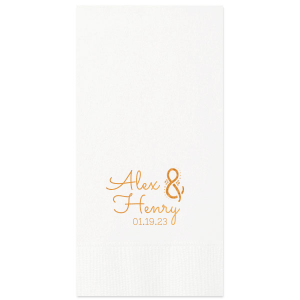 Create monogram guest towel napkins right here and use our personalized guest towel size to feature your foil stamped design. 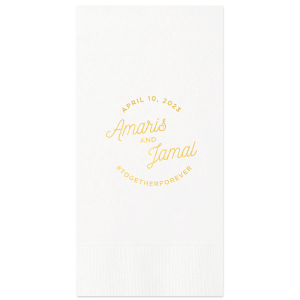 Choose from hundreds of colors to match your wedding theme. 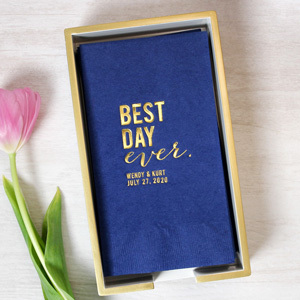 Our design styles cover all things wedding, from the engagement party to bridal showers and bachelorette parties. 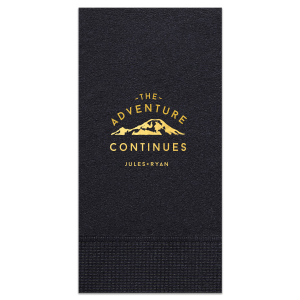 Custom guest towel napkins are great for any event! Browse our designs for birthday parties, holiday parties, Christmas, New Years, Bar Mitzvahs, graduation parties and more.